We're keeping it clean and cool with the Amish Warner Contemporary Dining Room Table. 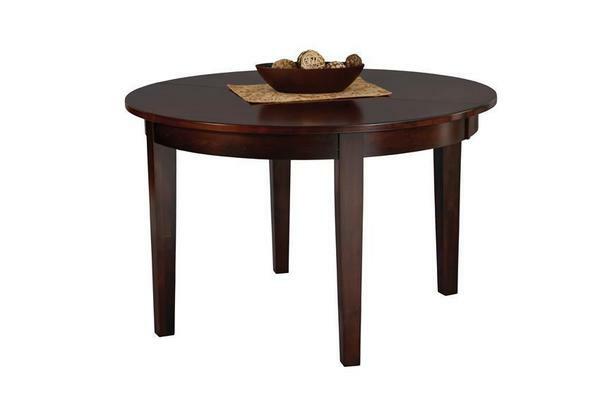 Round leg table made of the solid hardwood you choose. The Warner's contemporary style adapts as decor changes and will remain consistent in delivering style and performance you can count on. Customizing makes Amish made furniture more fun than the rest. The Warner Table offers eight different table shapes for you to choose from so you get just what you're wishing for! This wood dining table is built to outlast the others. Amish made furniture offers durability you can count on along with custom features you'll love. Please contact us with any questions about our Amish furniture. Thanks for shopping DutchCrafters.